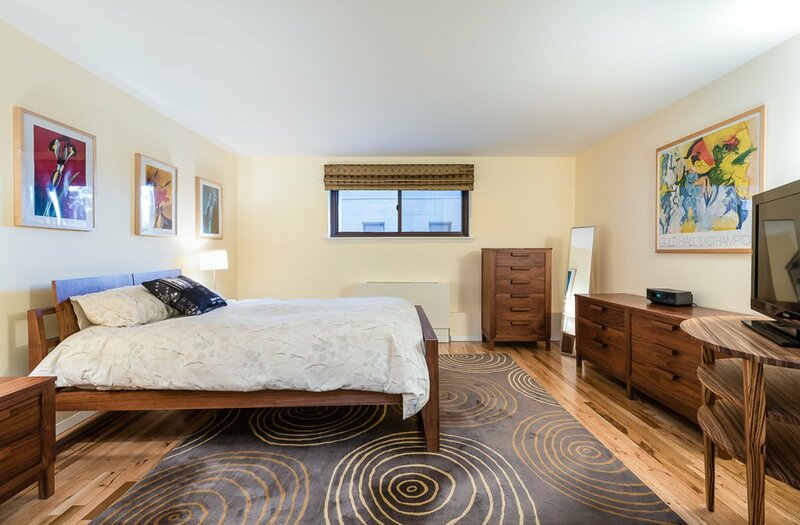 This truly unique Triplex grants you the privacy of a townhouse and the convenience of a doorman building while boasting Manhattan skyline views. 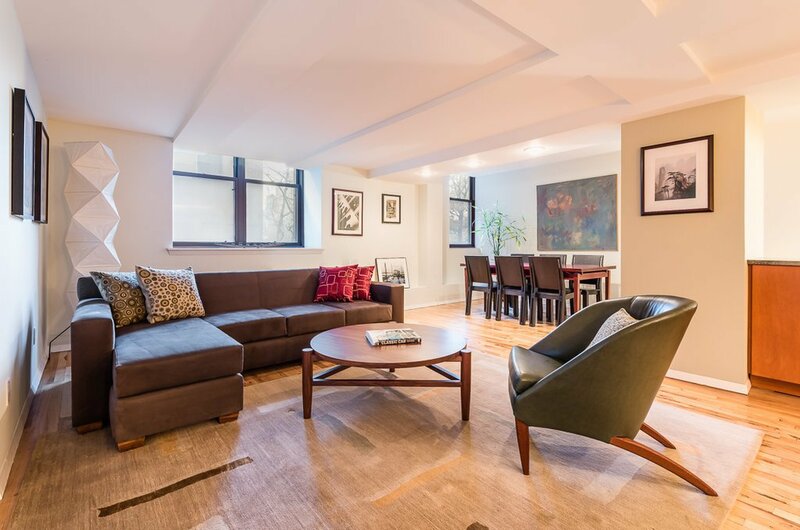 Zoned for PS-8 and priced at $800 per sf you are located at the intersection of Brooklyn Heights and Dumbo with 2100 sq. 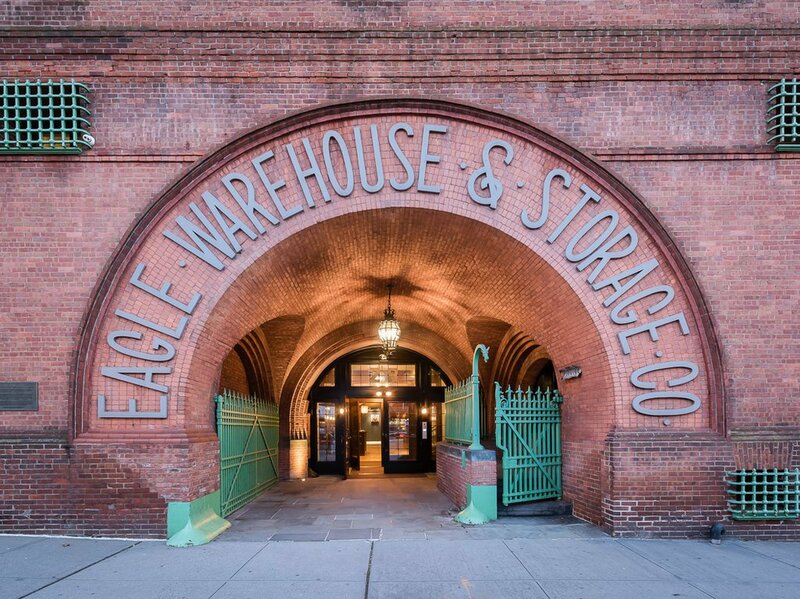 ft of interior space at the Iconic Eagle Warehouse Building, the historic former home of the Brooklyn Eagle printing press. 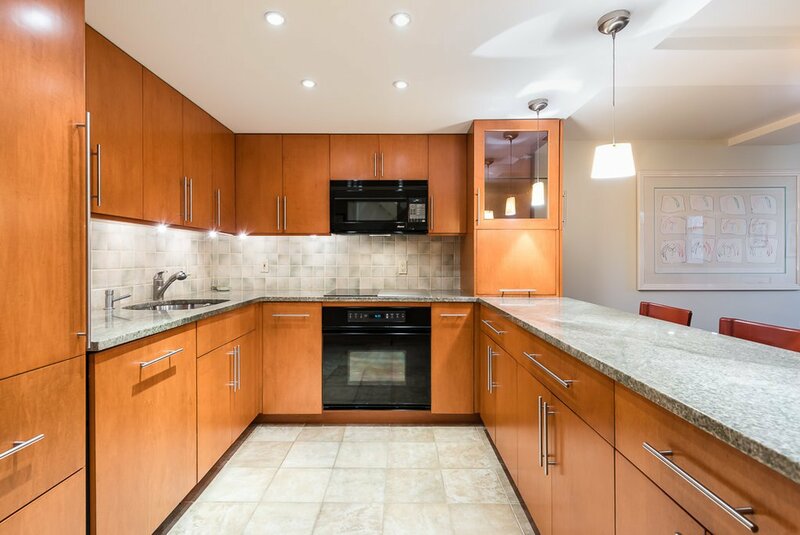 Upon entering, you are greeted with a generous foyer, a full bathroom, a large walk in closet with a washer/dryer hook up, a chef's kitchen with a breakfast bar, and a spacious living room. 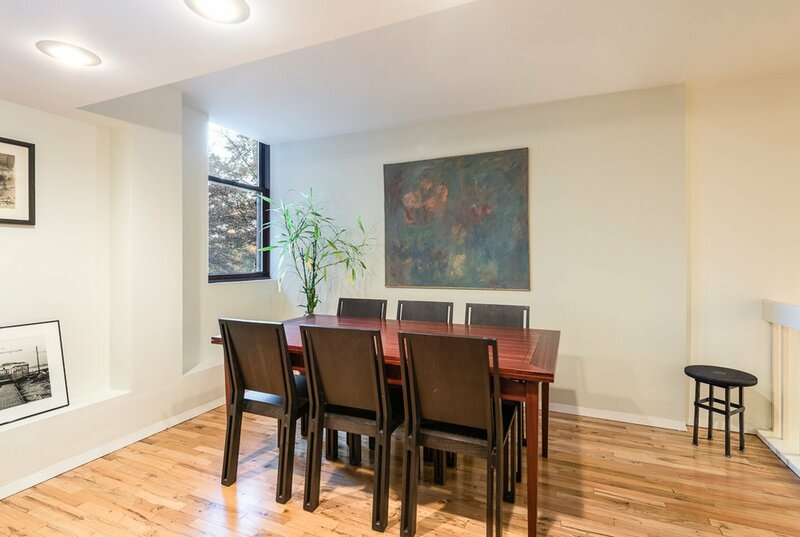 The living room opens to an alcove that carves out a formal dinning space which can easily accommodate a very large table, facing the East River, Brooklyn Bridge, and Freedom Tower Views outside. 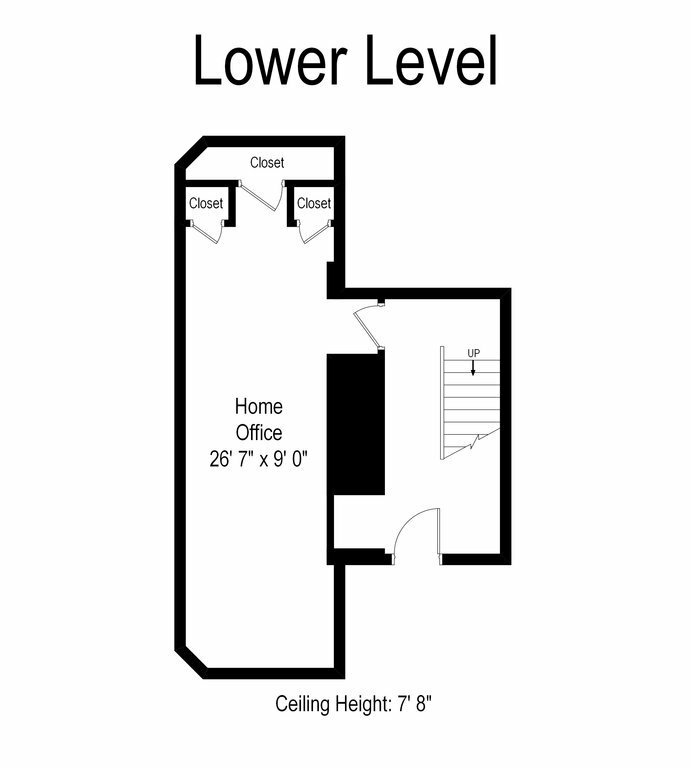 The fluid layout of the first floor makes daily living and entertaining easy. 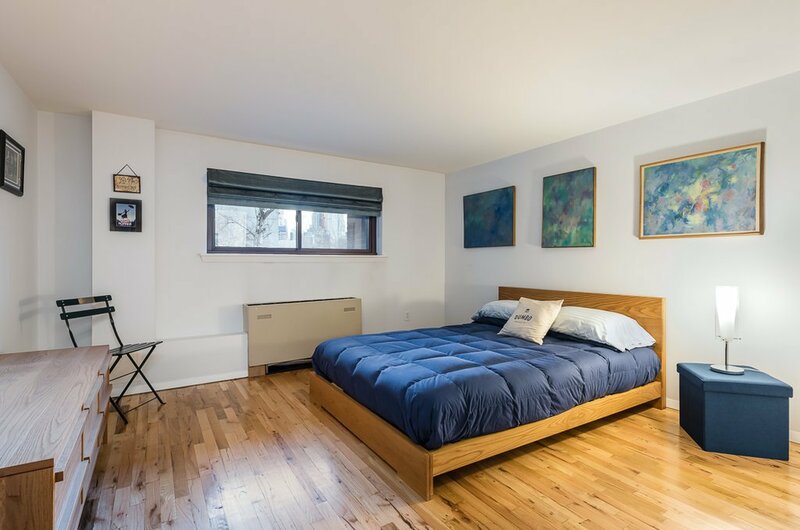 Two huge bedrooms upstairs offer space and privacy for those resting along with city views to fall asleep to. 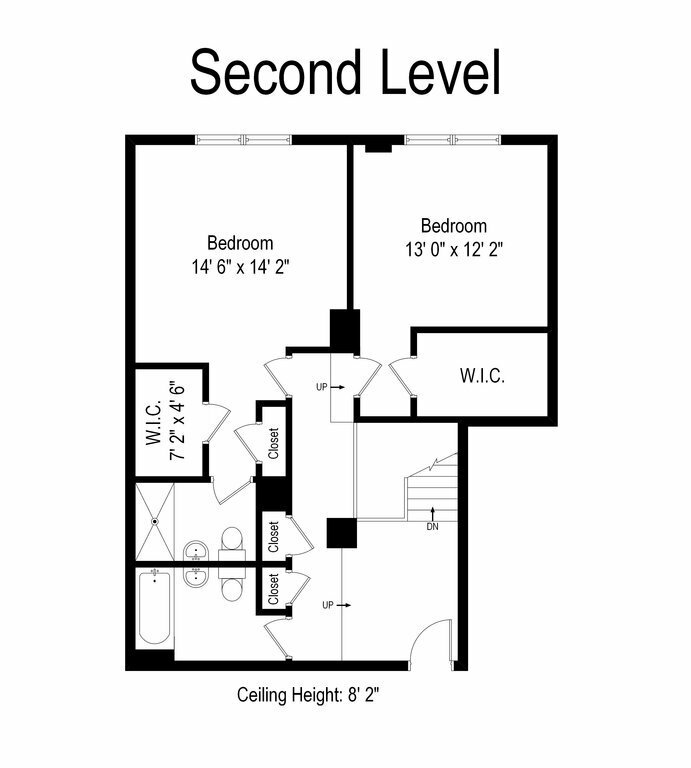 Adding to your convenience upstairs, you will also find 2 full baths, an ensuite and hallway bathroom. 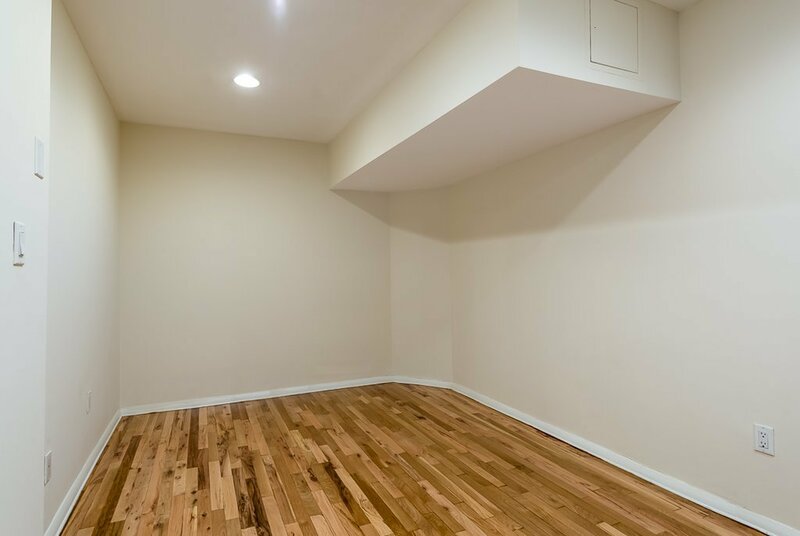 Both bedrooms have walk in closets as well as several other closets throughout the townhouse, removing the need for additional storage outside the home. 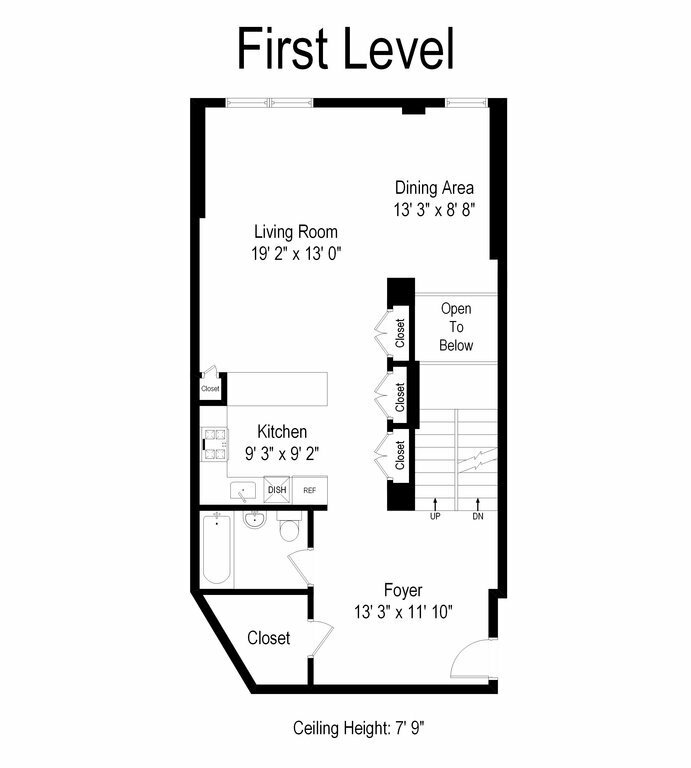 The lower recreation level offers a completely finished oversized den to do as you please with. The building features a beautifully finished lobby, a doorman, live in super, gym, bike storage, and additional storage cages. Unlike anything else on the market, this home is truly unmatched in size, and the perfect place to customize to your liking. There is 2 entrances allowing guests to enter through the attended lobby or on the 2nd floor. 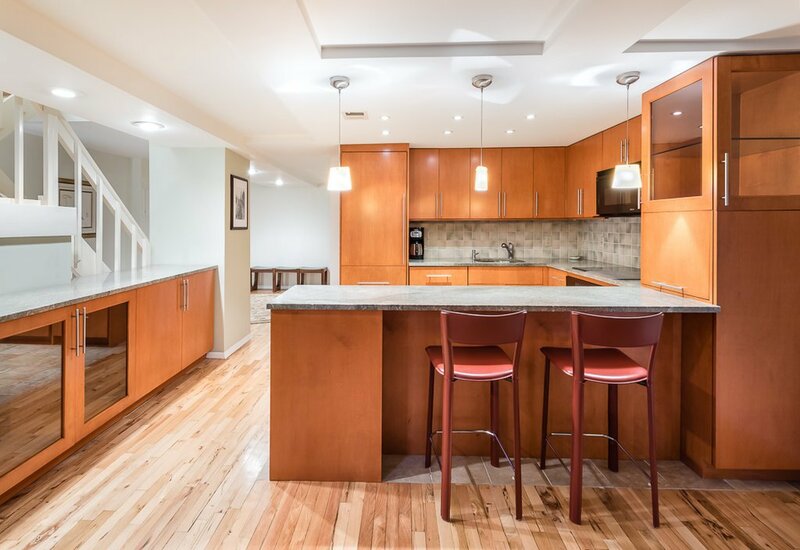 The 3 levels of this home are connected by a wide, wooden, open-thread staircase. 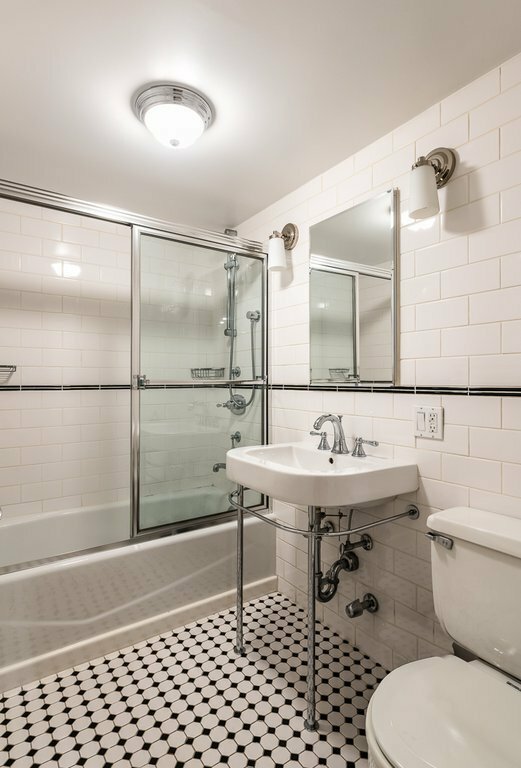 Close to all Dumbo restaurants and services including the River Cafe, a dog park one block away, and Brooklyn Bridge Park. 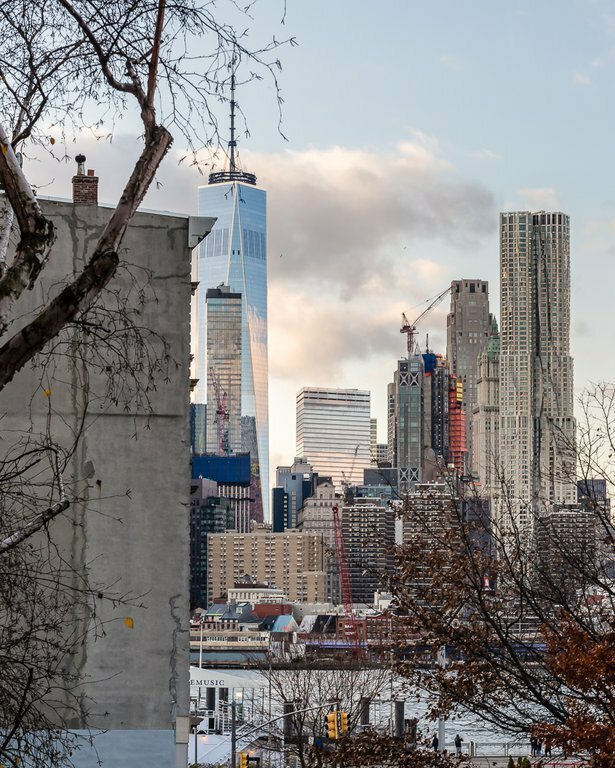 Fulton Ferry with service to Wall Street just steps away makes for an easy manhattan commute. A/C/F/2/3 trains close by. Pets are welcome.